If you are in need of a bearing repair or refurbishment, Texas Bearing Services can handle your project with ease. Texas Bearing Services provides comprehensive bearing repair and refurbishment to make your equipment more efficient, for less. Don’t underestimate the importance of a bearing repair! A typical bearing repair can save you between 25 to 75 percent of the cost of a new bearing, saving you money in the long run. In addition to being more cost-effective, a bearing repair also reduces critical machinery downtime and greatly reduces operational costs, making your company more efficient and effective. Reconditioning your bearings can also extend the life of your industrial equipment, which will help you run an even more cost-efficient business. It is also an excellent alternative when replacing obsolete parts and is environmentally conservative. Texas Bearing Services provides you with guaranteed quality backed by a one year warranty so you can trust in their products and services. Texas Bearing Services repairs all types of bearings up to 24 feet in diameter. 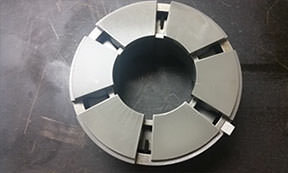 They will evaluate any style of bearing from any manufacturer for repair, including ball bearings, tapered roller bearings, cylindrical bearings, spherical bearings, slewing ring bearings, and Fluid Film Bearing. Texas Bearing Services has a wide, diverse range of clients at an international level including original equipment manufacturing (OEM) companies, distribution companies, aftermarkets, and end users. Texas Bearing Services also offers its clients with 24/7 expedited emergency repair services for even faster turnaround. One call does it all. With one call to Texas Bearing Services, you will get the bearing repair and refurbishing services you want, as well as power transmission systems, seals and custom designs, engineering and manufacturing. Texas Bearing Services is just one call away for your bearing needs. Texas Bearing Services specializes in large diameter bearing repair, power transmission component manufacturing and custom manufacturing. For more information call (713) 941-1644, email sales@texasbearingservices.com, or visit the www.texasbearingservices.com.